Brazilian-African Diaspora in Ghana is a fresh approach, challenging both pre-existing and established notions of the African Diaspora by engaging new regions, conceptualizations, and articulations that move the field forward. 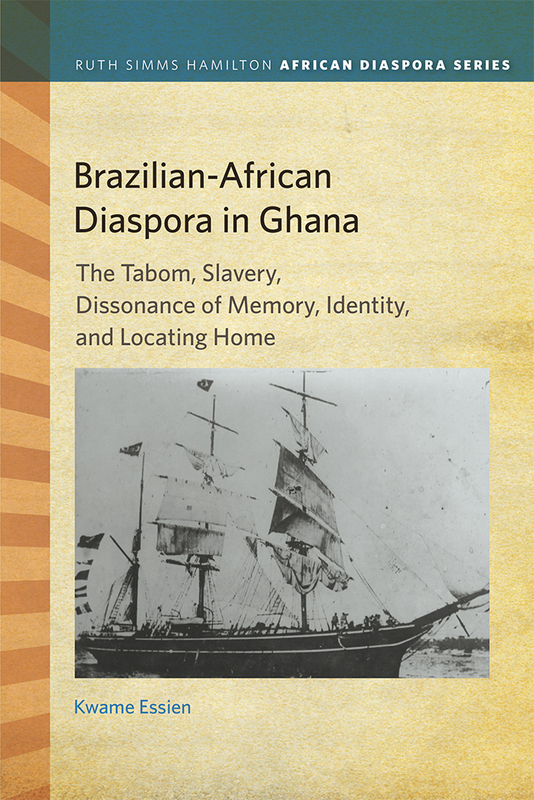 This book examines the untold story of freed slaves from Brazil who thrived socially, culturally, and economically despite the challenges they encountered after they settled in Ghana. Kwame Essien goes beyond the one-dimensional approach that only focuses on British abolitionists’ funding of freed slaves’ resettlements in Africa. The new interpretation of reverse migrations examines the paradox of freedom in discussing how emancipated Brazilian-Africans came under threat from British colonial officials who introduced stringent land ordinances that deprived the freed Brazilian- Africans from owning land, particularly “Brazilian land.” Essien considers anew contention between the returnees and other entities that were simultaneously vying for control over social, political, commercial, and religious spaces in Accra and tackles the fluidity of memory and how it continues to shape Ghana’s history. The ongoing search for lost connections with the support of the Brazilian government—inspiring multiple generations of Tabom (offspring of the returnees) to travel across the Atlantic and back, especially in the last decade—illustrates the unending nature of the transatlantic diaspora journey and its impacts. Kwame Essien is a Derrick K. Gondwe fellow and an assistant professor of history and Africana studies at Lehigh University. Kwame Essie n Book Launch- Brazilian Embassy, Accra, Ghana. Ambassador Laudemar Goncalves de Aguiar Neto, Charge d’Affaires, Brazilian Embassy in Ghana invited Professor Kwame Essien to launch his book Brazilian-African Diaspora in Ghana: The Tabom, Slavery, Dissonance of Memory, Identity, and Locating Home at the Brazilian Embassy in Accra, Ghana. The book is about the story of ex-slaves from Brazil and how they resettled in Gã Mãŋ, Accra from the 1820s after they gained their freedom. It is also about their descendants, the Tabom people and their ongoing search for their 'lost' ancestral connections to Brazil.